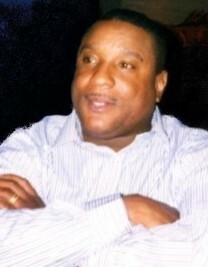 Calvin N. Minor was born on April 24, 1958 to Nellie C. Minor and Lloyd James in Bethesda, Maryland. He grew up with five brothers the late Ricky A. Minor, the late Cam- rod L. Minor, Rodney Minor, Cameron L. Minor, and Chris Minor. Early on, Calvin resided in Washington D.C. and attended the District of Columbia Public Schools, later he relocated to Capitol Heights, Maryland. Calvin attended Bancroft Elementary School, Roper Junior High School, and he completed his schooling at Bladensburg High School. Early in life Calvin was active in youth sports and played organized football in the D.C. area as well as various other activities. He was also an avid Dallas Cowboys fan and enjoyed nothing more than to be with family on Sunday afternoons watching his beloved Cowboys take on any opponent. While working at Gentlemen’s Jodhpurs in Montgomery County Maryland Calvin met and married Dawn Barker. Calvin and Dawn’s union was blessed with one child, Courtney Minor. The couple resided in Rockville, Maryland and later moved to Germantown, Maryland. Calvin had a passion for retail sales and held numerous positions in the retail field. He was proud to have worked for Cavalier Men’s Wear, Gentlemen’s Jodhpurs, Zales Jewelers, Criswell Auto Stores, and DARCARS Automotive over his career of more than 34 years. During his career Calvin became a certified Gemologist by the American Gem Society while working in jewelry retail sales. He leaves to cherish in his loving memory his wife Dawn Minor; daughter Courtney Minor; mother Nellie C. Minor; father Lloyd James and brothers Rodney Minor, Cameron Minor (Jatisha), Chris Minor (Sandy). He also leaves a host of nieces, nephews, other relatives and friends that will miss him dearly.